The Apple iPhone overtook BlackBerry sales in Canada for the first time in 2011. In an embarrassing blow on home soil for RIM, it trailed the iPhone by over half a million units, shipping 2.08m BlackBerry handsets compared to Apple's 2.85m. Illustrating the stark turn in fortunes, Bloomberg points out that just four years ago RIM was outselling the iPhone by five-to-one. 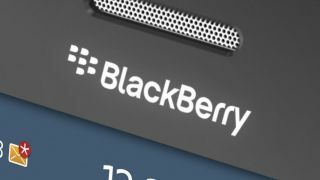 BlackBerry sales have been on the slide in Canada, but at a slower rate than the company has experienced in other markets. Last quarter RIM saw a 23 per cent slip in its home market compared to the same period in 2010. In the United States that figure almost doubled to 45 per cent. "For RIM, in its home market, to lose that No. 1 position to iPhone is strategically important," says Toronto-based fund manager Paul Taylor. "It does identify, even with a home-country bias, how consumers are responding to the greater functionality of the iPhone." Can BlackBerry 10 save the day? RIM will attempt to bounce back with the BlackBerry 10 operating system, due alongside a new breed of handsets later this year. However, the prognosis for the smartphone pioneer isn't all that positive as more customers jump ship and share prices continue to fall dramatically. "The challenge for Mr. Heins [CEO Thorsten Heins] is to take that iconic brand and products that are reasonably competitive and ensure that they do get appropriate attention from the average consumer," Taylor added. "That's the challenge: to reverse the negative sentiment that has developed."